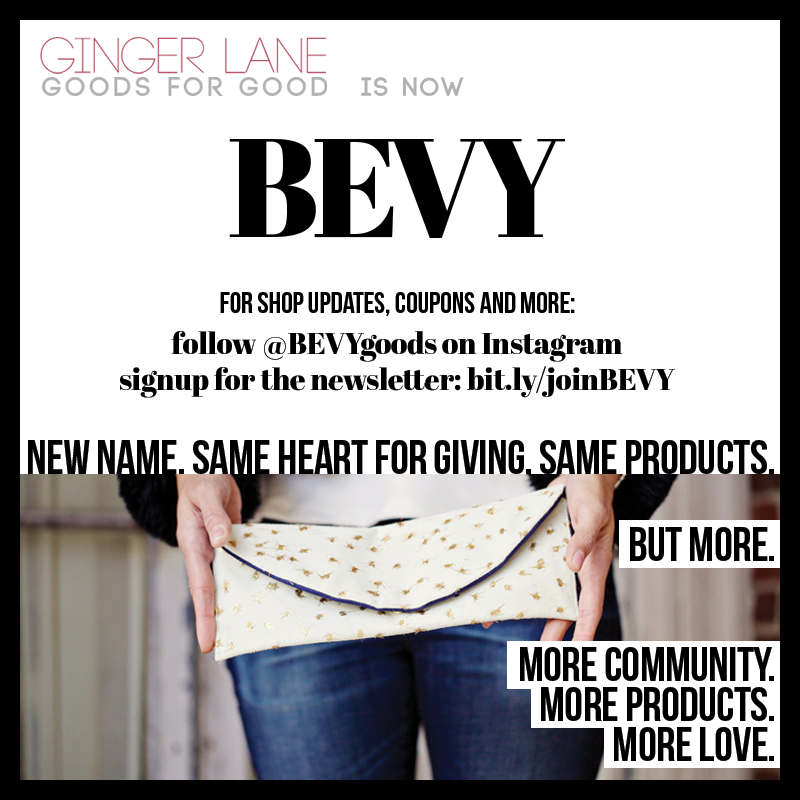 Ginger Lane is now BEVY! Over the last year, God has continued to whisper to me about the journey He wants me to take. I’ve been blessed by the support for my handmade shop Ginger Lane, but I kept hearing Him say He wanted MORE. 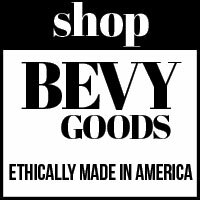 Less me, more community, so the name is now BEVY*. Still Goods for Good. I am deep in the process of learning about the sustainable and ethical fashion world in order to make a greater impact. The goal is to create jobs by producing the bags in the US, create community for the makers and customers, to give love & hope. Join me on this journey by signing up for the newsletter (I promise not to spam!) and be the first to know when we launch, get shop discounts and the occasional joke. *Why BEVY? With the goal of community, we want to bring together makers & customers. A bevy of women to support one another, share their stories, give love and compassion.